This month's Svamp session will be held in Kaiku-galleria, as part of the Space is the Place project organised by Ptarmigan and XL Art Space (through Kuvataideakatemia). We will have two guest facilitators, William Bilwa Costa and Kimmo Modig. As always, this session is open to participation; we encourage any open-minded musicians or non-musicians to show up and bring something to make sound with. Amplification will be limited. William Bilwa Costa is a sound and visual artist/electronic musician/improviser. 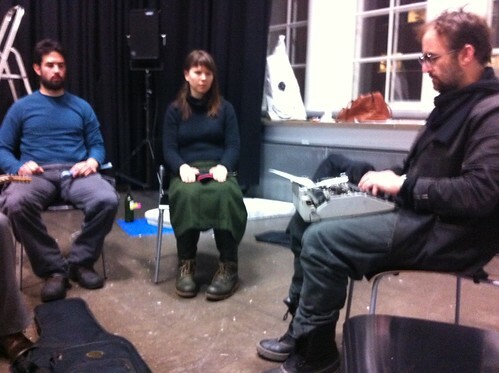 He has worked with movement artist Emily Sweeney as perpetual movement sound since 2006. He currently works internationally, generating research/ lab/ performance projects, actively cultivating opportunities for artists to work together on new interdisciplinary explorations. His most recent album | resonance | was released on earSnake records in 2011. 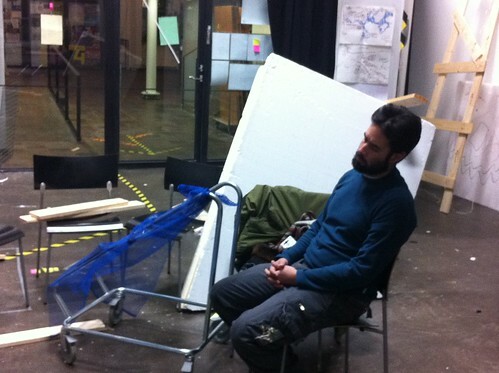 Bilwa works in both the performing and visual arts contexts. His electronic music and sound art often involve the abstraction of source material such as dancers’ breath and body sounds, acoustic musicians, and audio frequency feedback—sonic relics through which he pulls elements of specific spaces, times, and interactions into his work. He is interested in sensory perception and subjectivity, and his work documents those acts of decipherment. He often uses multiple speakers placed throughout a space, generating a sensory environment rich in ambient, rhythmic, and spatial sound.